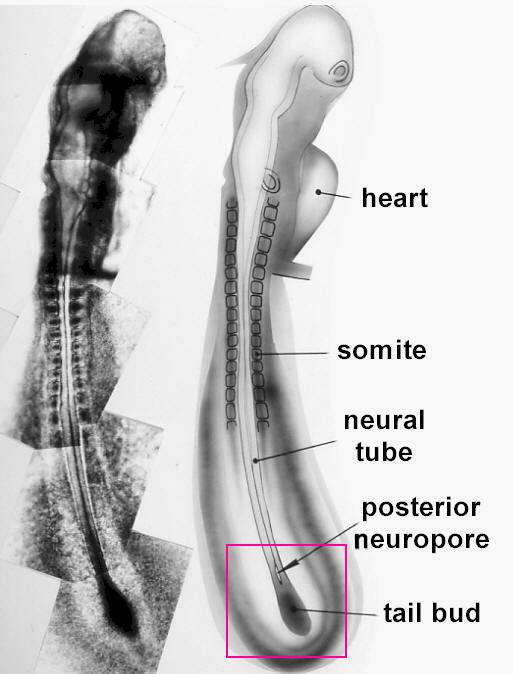 The embryonic neural tube gives rise to the central nervous system - the brain and spinal cord. 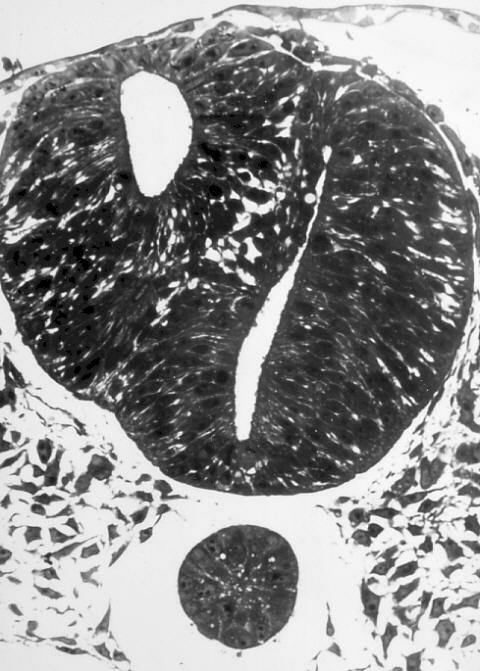 Therefore, any problems which arise during development of the neural tube can have serious consequences. 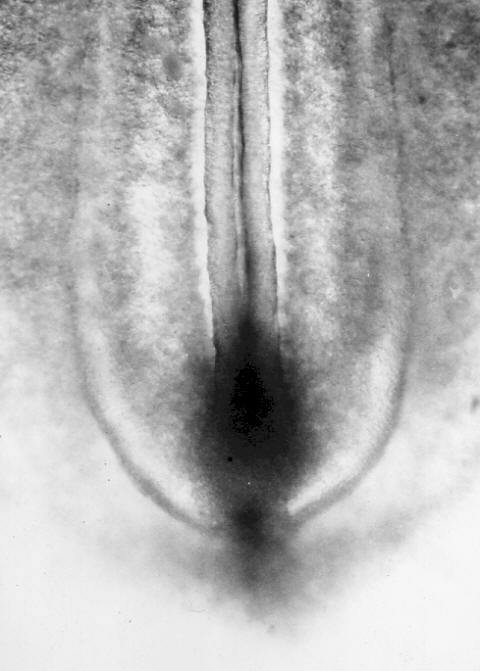 There are many different neural tube defects. 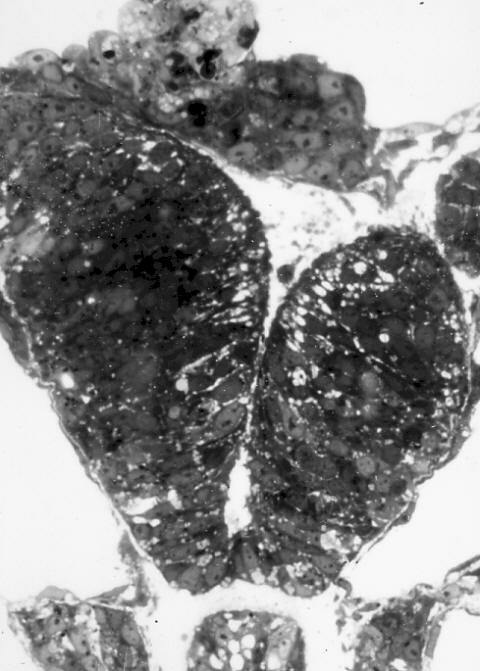 Anencephalus is where significant parts of the brain, particularly the cerebral hemispheres, fail to develop correctly, and spina bifida involves a region of the spinal cord. 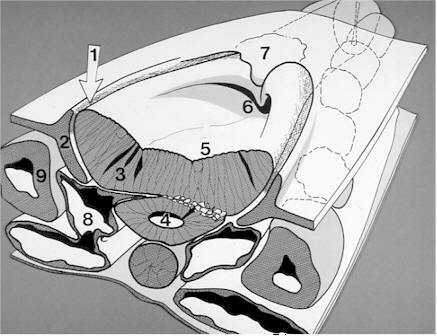 We will consider some embryological aspects of spina bifida. 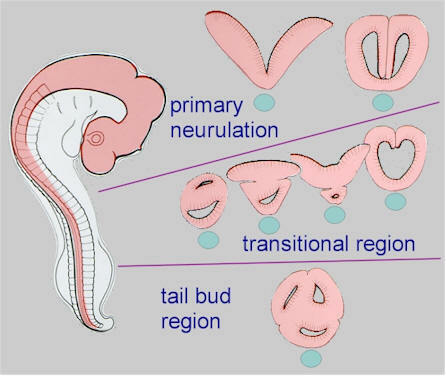 The transitional region between primary neurulation, where the neural tube is being formed by the neural plate, and secondary neurulation, where the last part of the neural tube is being formed by the tail bud, is a place where things can sometimes go wrong resulting in spina bifida. 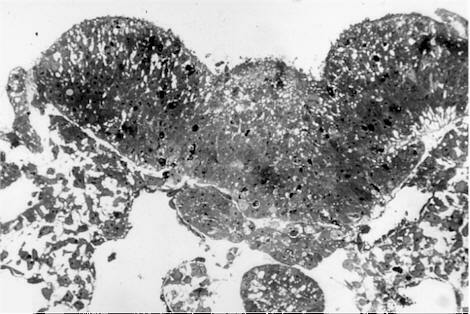 It is located in the future lumbosacral region of the embryo, and this is a site where spina bifida most commonly occurs in human babies. 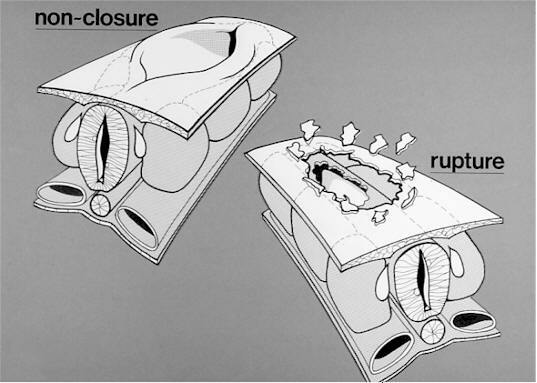 So, returning to the working hypotheses at the beginning regarding the possible origin of spina bifida - either non-closure or secondary opening - we can see that in reality the picture is more subtle and complicated. 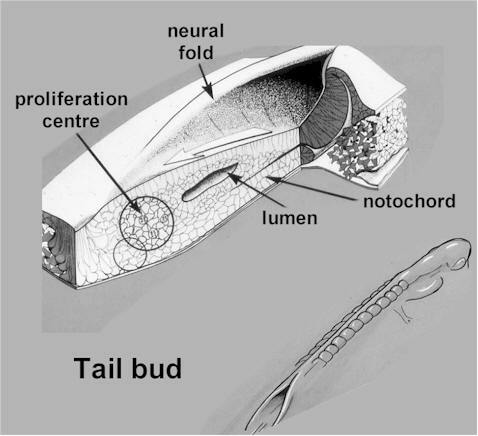 In the transitional region, the caudal neuropore may fail to close properly, and the contribution of the tail bud cells becomes compromised. 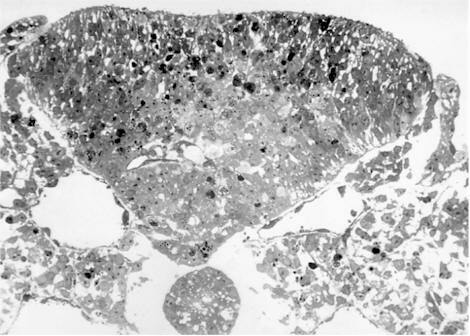 The result is a morphologically complex lesion in which the different cell types are trying to make the best of an abnormal arrangement at that stage of development.